February appears to be returning to form. The release of Diamond Comic Distributors' data for the month was delayed by snow days and other scheduling issues, and the unusually harsh winter appears to have cast a chill on comics sales. Comics shops in North America ordered close to $37 million in new comic books, graphic novels, and magazines in February, down 6.71% from a year ago. The figure is still up 3% from February 2012. February has historically been either the lowest or second-lowest volume sales month for the Direct Market: publishers in the past have tend to offer fewer titles than at other times of the year, and customers (and sometimes the comics!) have more difficulty reaching stores. This month saw 692 new releases, the first time in months that figure has been below 700. There were 30 fewer graphic novels released in February versus in January; more comics were released, but fewer magazines. 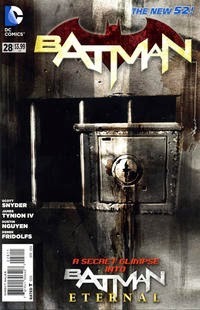 Comics sales were off nearly 15% in units and more than 10% in dollars: Batman #28 was the leader of the list. Graphic novel dollars were up 2.83% over a year ago. 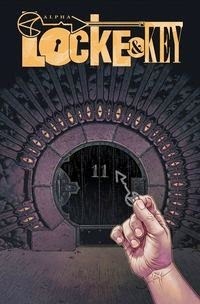 Unit sales were led by the Locke & Key Vol. 6: Alpha and Omega hardcover. 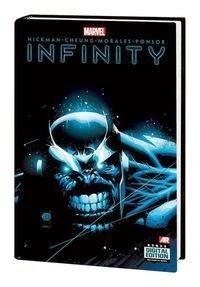 Based on its position in the unit sales rankings, odds are the $75 Infinity hardcover may come in at or near the top of the list in dollar sales. Graphic novel units were up by a much greater amount, which suggests that this month again had a high volume of graphic novels sold at greater-than-usual discounts. Look for the full data to come. And check the Comic Shop Locator Service to find a comic shop near you!